The drama is heating up in Genoa City next week on The Young and the Restless. Ian Ward will continue his reign of terror, some couples will go their separate ways, and other couples will find each other again. Here’s what Y&R fans can expect to see on the popular CBS soap opera during the week of March 3rd-7th. The Young and the Restless fans knew it was only a matter of time before Victor Newman got involved in the Ian Ward situation that Nikki, Summer, Nick, and Dylan are currently trying to get under control. Meddling is Victor’s MO, especially when it comes to his family. There was no way some blast from Nikki’s past was going to breeze into Genoa City and threaten her and Summer, completely under Victor’s radar. 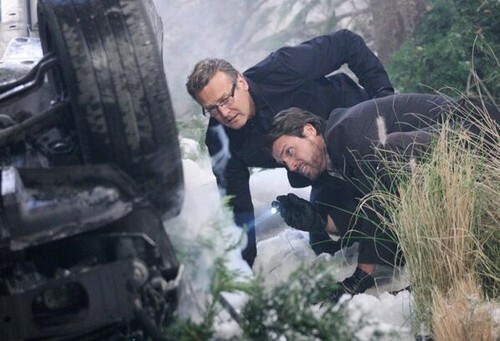 On The Young and the Restless, the week of March 3rd-7th, Victor Newman will threaten Ian Ward, and Ian will have to come up with a new plan of attack. Victoria Newman is a sweet and caring woman on The Young and the Restless, until you get on her bad side. And, Billy is definitely still on her bad side, and has been since he confessed to having an affair with Kelly. It doesn’t look like Victoria will be forgiving Billy any time soon, actually it appears to be the opposite of forgiveness, Victoria wants revenge. Next week, March 3rd-7th, tensions will rise between Victoria and Billy. Victoria and Billy’s relationship may be rapidly falling apart, but another popular Y&R couple will be rekindling their old flame. Sharon and Nick fans will be happy to hear that next week they will share some passionate moments together. Hopefully Victor will be too busy dealing with Ian Ward to send in “Ghost Cassie” and try to sabotage their potential relationship this time. Also during the week of March 3rd-7th on The Young and the Restless, Chelsea will pressure Victor to look for his son Adam Newman. Y&R fans may get to see Michael Muhney’s replacement sooner than they anticipated. And, Colin and Jill will travel somewhere exotic to try to solve the music box mystery, they get distracted when their investigation takes a romantic turn. Let’s not forget that bringing Adam Newman back is necessary since we know that the storyline is strongly hinting that he survived the crash and is alive. Since this means that Michael Muhney’s role has already been or is in the process of being recast you know that will be huge news and won’t be greeted by all fans with pleasure. Michael’s firing created a firestorm of controversy which has yet to die down. As always March 3rd-7th looks like another can’t miss week of CBS’s soap opera The Young and the Restless. Don’t forget to check CDL throughout the week for more Y&R spoilers and juicy details. The Young and the Restless Spoilers Feb 27: Can Dylan Stop Ian Ward From Kidnapping Summer and/or Nikki and Getting Away With the Money?